Change up your solo workout routine this summer by getting involved with a great fitness charity. That's what I did by heading to Santa Monica with Lady Foot Locker for Pedal On The Pier. Watch the video above to see how one charity event can bring together and move so many people, including a bunch of fitness-loving celebrities. 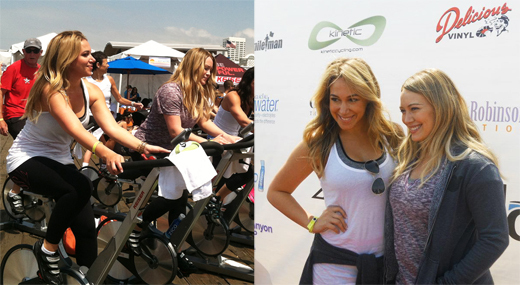 Hilary and Haylie Duff who are Soul Cycle spinning fanatics wasted no time getting on their bikes, and Evander Holyfield rode the full 4-hours like a champ ('cause he is one). Gotta admit, I was so nervous to meet him! But he's a soft spoken, almost bashful kind of guy who seems to put family first. When he told me that his kids and mother inspire him, well, that just made my heart melt. I was very honored to meet him. 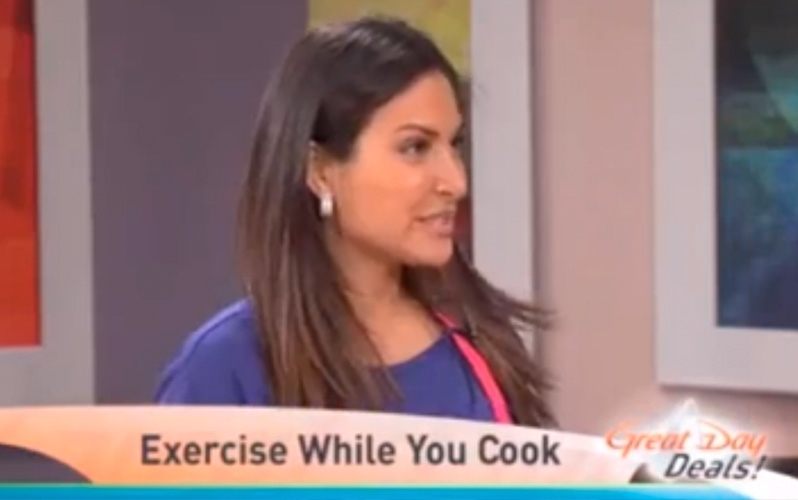 And I must encourage you to check out Haylie's food blog called Real Girl's Kitchen--she's quite the gourmet health nut! 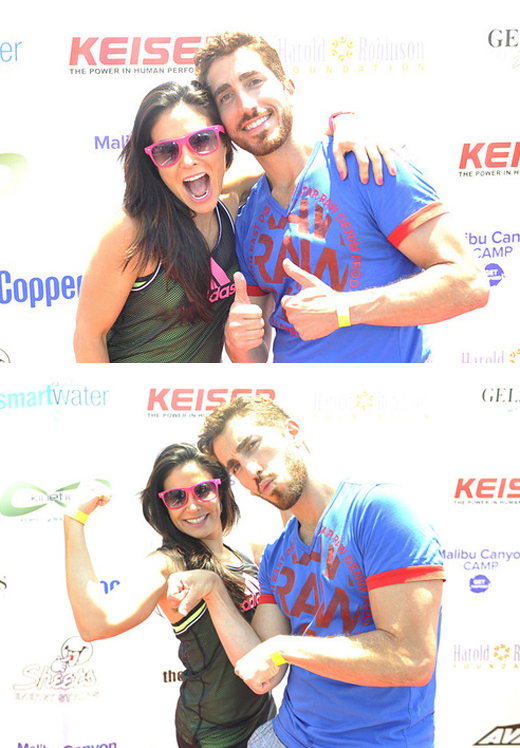 Cool, Caring and Outgoing people give their time to fitness charities! That's something I definitely learned from being a part of Pedal On The Pier. And the companies who sponsored the event must be acknowledged too! Ryka, Avia, Zico, SmartWater and Coppertone were all there keeping spinners hydrated, energized and safe in the sun. You have to try the new caffeinated coffee-flavored Zico! Who knew my 2 favorite things to drink could taste so good mixed together??!! Ryka & Avia handed out some amazing gift bags that my director/videographer Frank and I got to take home. That's us below being our crazy selves. I think Doug E. Fresh was teaching everybody how to Dougie around the time we posed for these pics. Clearly we didn't need lessons because we already know how. Can you guess my favorite red carpet interview from the video? Leave your guess in the comments section below and the first one to guess it right will win a pair of snazzy biking gloves that can be worn to Pedal On The Pier next year! If you like my outfit (my adidas penny is undeniably cute...just admit it), stop into Lady Foot Locker because I got it all there! LFL will satiate all your fitness fashion cravings! Can you guess my favorite red carpet interview? Guess right and win a pair of stylish biking gloves that you can wear to Pedal On The Pier next year!